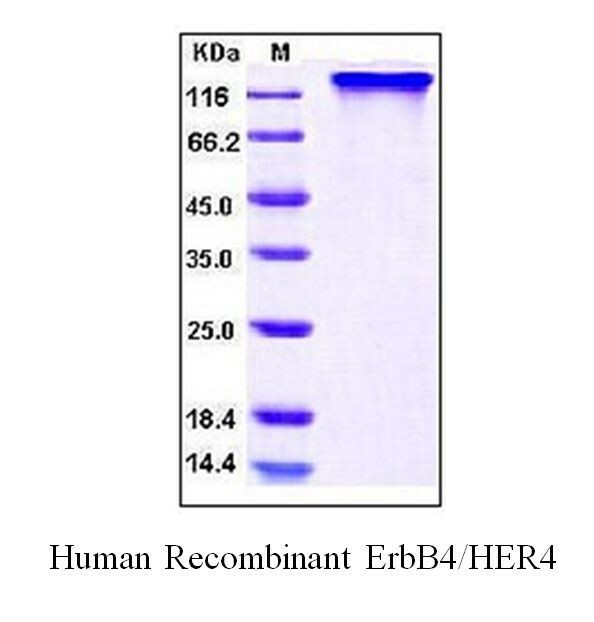 ErbB4/HER4 (His Tagged), Human Recombinant | 7773 | BioVision, Inc.
Lyophilized from sterile PBS, pH 7.4. Normally 5 % - 8 % trehalose and mannitol are added as protectants before lyophilization. 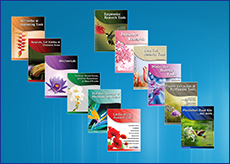 Specific concentrations are included in the hardcopy of COA. < 1.0 EU per μg of the protein as determined by the LAL method. 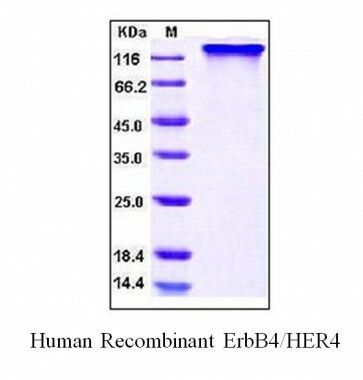 ErbB4, also known as Her4, is a member of the tyrosine kinase receptors (RTK) and the epidermal growth factor receptor (EGFR) subfamily, and appears to play important roles in differentiation, development and certain carcinomas. It is a single transmembrane-span type I glycoprotein structurally consisting of multiple cysteine rich domains, a transmembrane domain, a tyrosine kinase domain, a phosphotidylinositol-3 (PI-3) kinase binding site and a PDZ domain binding motif. However, the last two domains are absent in one of the two naturally occurring ErbB4 isoforms, ErbB4 CYT-2. ErbB4 ligands include the neuregulins, betacellulin and heparin-binding EGF-like growth factor (HB-EGF). Typically, heterodimerization of ErbB4 with ErbB2 forms the high affinity receptor complex, and subsequently transmit cellular signals by activating downstream src homology-2 (SH2) and phosphotyrosine binding (PTB) domain-containing signaling molecules. ErbB4 undergoes sequential processing by TNF-α converting enzyme (TACE) and presenilin-dependent gamma-secretase to release the ErbB4 ICD (4ICD) with the NLS sequence which is essential for nuclear accumulation of 4ICD. It has been shown that the ligand-induced proteolytic process of ErbB4 results in the accumulation of 4ICD and cytochrome c efflux, and directly couples a cell surface signal to the tumor cell mitochondrial apoptotic pathway. Accordingly, in contrast to the other three members of the EGFR family, ErbB4 expression seems to be selectively lost in tumors with aggressive phenotypes.